A pineapple and mango medley blended with sweet strawberries in a smoothie you can't put down. Flavor Profile: A pineapple and mango medley blended with sweet strawberries in a smoothie you can't put down. I prefer the strawberry one over the Maui one. The strawberry one just tastes more like a real strawberry smoothie to me. The Maui was just a bit weird for me. I had a shop recommend this one to me and I have been vapin it ever since. 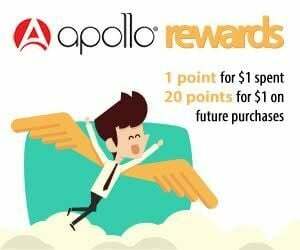 But now I directly order from Apollo cause i like to get the discounts on my orders. This ejuice is really good and I recommend it my friends all the time. This has been my all day vape for a while now. I just got the Evolve kit so I am looking forward to trying this flavor in it. I have the Vision Spinner so far and this is the flavor i have been using in it. The bottle lasted me a long time at 35mg. I like this one better than the other one. My favorite out of the two Smoozie salts because I think this one is sweeter than the other one. I like that it has a tropical element to it. Reminds me of summer and beaches and margaritas. I just love it. Too much yogurt/cream for me. But the fruit in it was reaaaaallllyyyyy good. I could vape this one again even though I did not like the cream aspect of it. But i guess you just can not please everyone right! lol If you like cream and fruit this one is gonna be a hit for you. The Maui is soo good. I can't wait to try the Strawberry one! It is super tropical. I can really taste the magno and pineapple on the inhale and then when you exhale I can taste the strawberry. Going to stick with this one for sure! At least for a while because I think this bottle is going to last me a good amount of time.